The grill that is taking outdoor cooking to the next level. 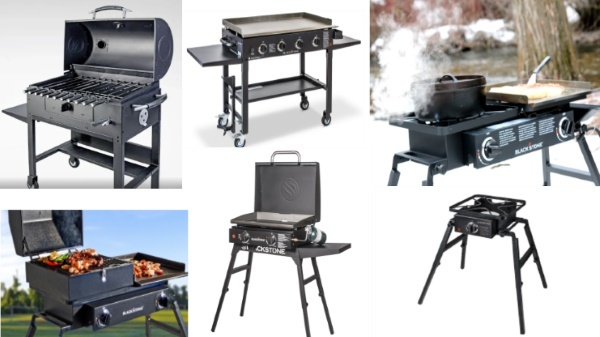 Blackstone Grills make outdoor cooking and grilling easy. Stop by Portland’s Blackstone Grill Outlet. You will find the whole Blackstone Grill line at Portland Barbecue Shop. We even have the hoses to connect them to your RV. The Blackstone Grill’s has proven to be a phenomenon in the residential and RV outdoor cooking world. Come see what makes The Blackstone Grill the best Griddle on the market at the best price.